Today it was announced that Jolyon Palmer will retain his seat at Renault, as we predicted last month, while his current team mate Kevin Magnussen has moved out and should shortly be announced at the Haas F1 Team on a two year deal with options. While neither deal is any great surprise, it is worth a moment to examine why these two have retained their places on the F1 grid for next season, despite a season without many points finishes. Magnussen is in his second season of F1, while Palmer was a rookie this season. 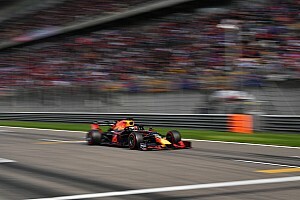 The Dane has scored seven points in total with Top Ten results in Russia and Singapore, while Palmer has just one point to his name from Malaysia. Magnussen is ahead in qualifying, but it's fair to say that not many F1 commentators would have predicted a scoreline of 12-7 up to this point, which reflects well on the Briton. As was amply demonstrated in the Grands Prix in Japan and Mexico, the midfield battle is incredibly tight this year. Haas, for example failed to score any points in Japan from 7th and 10th places on the grid. 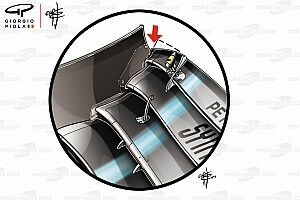 While Sauber ran 11th in Mexico due to a risky strategy and only narrowly missed out on a point they desperately need. It all comes down to Strategy every week, which is really tough when you don't have good car pace and it can vary so much in that midfield battle. This is why Magnussen and Palmer haven't really featured in the Top Ten this season; the car has poor qualifying pace so they start on the back foot and thus strategies tend to be a gamble. Some hefty accidents, while trying to make things happen, like Palmer's at Monaco and Magnussen's at Spa, have not helped. 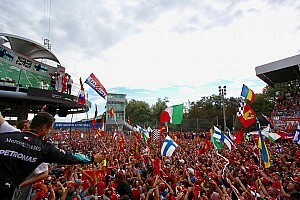 Nevertheless, looking at the landscape and with Esteban Ocon, who was originally intended to fill one of the Renault seats next year, diverted off to Force India as a legacy of the deal that took Nico Hulkenberg to Renault, the package put together by Palmer to retain the seat with the French manufacturer was more attractive than the one Magnussen offered. Palmer fits Renault's strategy of waiting a year and then moving for one of the bigger name drivers, with Valtteri Bottas keen to make the move. It's likely that at least one seat at Ferrari will also be on the table at the end of next season, so we could see some movement in the driver market then. That said, the Dane was a clear second choice last season in Haas' reckoning when they chose Romain Grosjean. They liked his additional experience and results and felt that would be worth pushing to get. They were patient and they got him. Although his patience has been tried a few times this season, he remains part of their plans. 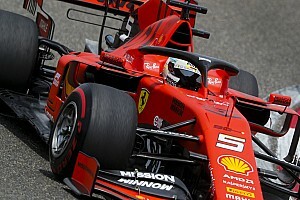 They felt obliged to take one of the Ferrari development drivers and although many observers suggested that Jean Eric Vergne was by far the stronger of the two, Esteban Gutierrez' backing and connections carried the day. His lacklustre season has caught up with him, however and that creates an opening for Magnussen, who should be a good fit at Haas.